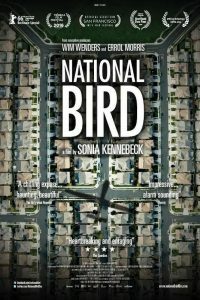 After a thirty minute screening of the film “National Bird,” Rev. Dr. Antal will address US war in the 21st century, specifically the reality and moral hazards of drone warfare. We will examine what actions we can take as committed people of faith to address the rapid proliferation of weaponized drone technology. In advance of our June 24th guest minister, former military chaplain, the Rev. Chris Antal, UUS:E is screening a film on drone warfare produced by the Interfaith Network on Drone Warfare and the Peace Action Education Fund. Faith leaders from a wide range of traditions are interviewed on this 27 minute video, including representatives of the U.S. Conference of Catholic Bishops, the United Church of Christ, the New Evangelical Partnership for the Common Good, Interfaith Action for Human Rights, the Unitarian Universalist Association, the United Methodist Church, the American Sikh Council, the Islamic Society of North America, the Friends Committee on National Legislation and the Church of the Brethren. Are you interested in doing some armchair traveling? The four members of UUS:E who attended the General Assembly of Unitarian Universalist Congregations (GA) in Columbus OH in June would like to take you on a journey right in the comfort of your home. You can see videos and read articles about everything described in this article—and much more—at http://www.uua.org/ga. This year’s delegates were Stan and Sue McMillen, and Ted and Nancy Pappas. 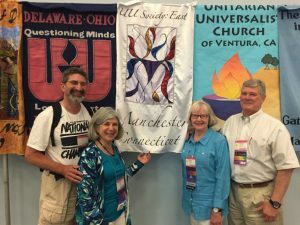 Among us we have a couple of centuries of UU experience, but we still find that a five-day gathering of thousands of UUs can be challenging, moving, inspiring and exciting. The heart-opening experience started with the Banner Procession, where our elegant satin chalice moved among nearly 300 other congregational standards. “The opening remarks from Rev. William Barber were overwhelmingly inspirational and struck at the heart of our nation’s oppressive racism, sexism and anti-LGBT attitudes,” says Stan. Those who attended the fantastic public worship on Sunday morning heard some of that communication, as Dr. Glen Thomas Rideout provided moving and spiritual commentary in counterpoint with the glorious GA Choir that he was leading. This was one of the highlights of the entire GA, and is well worth watching on line! Every other year, delegates choose a Congregational Study/Action Issue of broad national significance for a four-year period of study and action with opportunities for congregational and district comment. 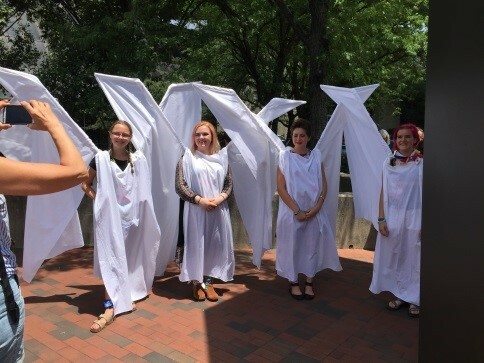 At the 2016 GA, delegates chose “The Corruption of our Democracy” (www.uua.org/statements/current) Congregations study this topic and take actions that raise awareness and work toward a more representative governance. At the same time, we are entering Year 3 of the cycle for “Escalating Inequality,” which was a theme throughout many of the workshops and worship experiences. At the 2017 GA in New Orleans, UUs will vote for a new president to serve as the denomination’s chief executive officer for a six-year term. Similar to American political conventions, delegates are instructed by their home congregations to vote for a particular candidate. We attended a forum to hear from the candidates, who all have great ideas for our faith community: Rev. Susan Frederick-Gray, Rev. Alison Miller and Rev. Jeanne Pupke. Take a look at the video on line at uua.org/ga, read the coverage in the UU World and watch for opportunities to hear more directly from the candidates – they will be visiting each region and providing webinars where they answer our questions! Finally, there is no way to summarize the experiences the four of us had at GA. We went to a reception honoring Martin Luther King III, attended more than 20 workshops (collectively) and reconnected with former UUS:E members –including Bailey Saddlemire, a high school junior who will be one of two youth observers to the UUA national board! We hope to share some of this at the UU:E worship service on September 25. But please experience this for yourself, by looking at the workshops and worship services on line, and planning to attend the New Orleans General Assembly, June 21-25, 2017. “What can we do to stretch our hearts enough to lose their littleness?” asked the Rev. A. Powel Davies more than half a century ago. I love this question. I love the image of our hearts stretching. Of course, there’s nothing extraordinary about a religious leader asking a question like this. It’s a version of the question that lies at the core of so many religions. It’s the question of ethics, of justice. How shall we live? How can we bring love and compassion into the world, into our encounters with family members, friends, strangers? How can we live peacefully with others, especially those who are different from us in some way? How can we break down the strange and foolish walls that divide the human family? How can we stretch our hearts? Indeed, the strange and foolish walls were very real half a century ago, and they are very real now. We didn’t need Thursday morning’s news of a white supremacist mass shooting at Charleston, South Carolina’s “Mother Emanuel” African Methodist Episcopal Church to be convinced of this. But there it was again, a gut-wrenching and profound failure of “love your neighbor”—not only in the small heart of the killer, but in the small and atrophied heart of the social, cultural and political systems that produced him. Despite all the progress humanity has made over centuries—despite its enlightenment, its knowledge, its scientific advancements, its faith, its modern conceptions of human rights and social justice—despite it all, the human family feels, to me, as divided as ever; as if we are somehow fated to revert back to a fight-or-flight limbic response to conflict; as if we’ll never be able to overcome the allure and the power of simplistic and false dualisms—‘us vs. them,’ ‘good vs. evil’—whether we’re talking about international, national or local conflicts, or conflicts within the intimacy of our own families—conflicts that seem intractable despite our earnest desire to see them resolved. Despite all our achievements, love—deep abiding love—seems so difficult to sustain. “Love your neighbor as yourself,” though still a potent ethical principle, seems worn down, battered, beaten. Our collective heart seems small and ineffectual. Maybe it’s always been this way. Maybe every age has its insurmountable conflicts. Maybe the goal of a more peaceful, just and loving society always feels elusive to those who care about it most. Maybe each of us struggles to be more loving and compassionate and never quite meets the mark we set for ourselves. In ancient Greek mythology, Sisyphus, the king of Ephyra, was for eternity compelled to roll an immense boulder up a mountain, only to watch it roll back down again and again each time he approached the summit. Maybe we each roll our own boulders; and maybe collectively we roll boulders; and we almost get where we think we’re going, and then suddenly, in a flash, we lose our grip—a mass shooting in a church or an elementary school tears through a town, a loved one’s life falls apart, a foreign war we thought had ended suddenly begins again, a suicide rips through a community, a school system fails, a chronic illness debilitates, entrenched poverty crushes—and in a flash the boulder rolls back down the mountain. Maybe there’s always a layer of human existence that is like this. The heart in this question is, of course, a metaphor in which our physical hearts which pump our blood refer to our spiritual hearts—our center, our grounding, the source of our passion and compassion, the place inside where we commune with what is sacred to us, the home in us of love and warmth and joy. It’s the thing that soars when we fall in love, and the thing that breaks when a loved-one dies. How do we stretch that? I’ve spoken about this before. The reasons why some people have somatic reactions to different kinds of stress are always complex. My simplest understanding of why it happens to me has to do with being raised in a family with an alcoholic parent. As is the case with many adult children of alcoholics, there is, in me, a deep-seeded impulse to not “rock the boat,” to keep the peace, to not create tension, to please others, to accommodate others. I know some of you know condition well. The challenge here is that stretching one’s heart in order to overcome strange and foolish walls inevitably creates tension. Stretching creates tension. It’s good tension, productive tension, creative tension, justice-seeking tension. And it’s necessary: the change we seek won’t come without it. The insight I’ve had about myself this year is that my body actually mistakes good tension that will lead to good change for bad, unproductive, uncreative tension that will lead nowhere. As a child, perhaps it made sense to avoid tension of any sort and my mind and my body were in agreement: keep steady, keep the peace, keep out of trouble, keep, keep, keep, keep, keep. But now, as an adult, I’ve changed my mind. I’ve changed it for good reasons. I understand some tension is necessary. My mind affirms my heart’s desire to stretch, but my body still says “no, we can’t do that.” It’s unnerving when this happens, but it’s also become for me an important sign: my body feels a certain way because my heart is trying to stretch. And while I have to take my body seriously and attend to how it is feeling, my personal challenge is to teach my body to work with my heart. I can’t let my heart stay little. None of us can. The world needs deep, abiding love. These strange and foolish walls must come down. There is too much at stake. I was determined to stretch. We prepared ourselves to do what we needed to do. We conducted nonviolent civil disobedience training here at UUS:E in early February. That was stretching. Then we did a trial run on Monday, February 23rd in Hartford, stretching further. My body came along—still didn’t like what we were doing, and it let me know. We picked June 8th as the date for our first major action. We conducted a final training here the night before. And then around 5:00 pm on the 8th we walked into the street. My heart soared. In that street was where I needed to be in that moment, more than anywhere else in the world. My body hated it. I became so dizzy after a while that I walked off the line to talk to our medics. They checked me over, gave me some sugar and water, and said it looked like stress. 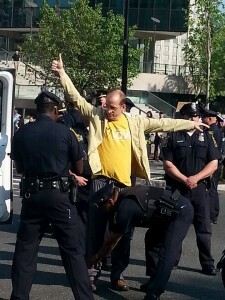 So I walked back out into the street, heart soaring, body still protesting—“we’re really rockin’ the boat now”—and got myself arrested. My body is still trying to figure it out. It’s going to take a while. But my heart has stretched. And if I had any misgivings about what I had done after the fact, they vanished on Thursday morning with the news from Charleston. Black Lives Matter. These strange and foolish walls must come down. Deep, abiding love will bring them down. As momentous as that particular experience has been for me, there has been so much more. My heart has been stretching around multigenerational community here at UUS:E. My heart has been stretching around new directions in our music program as we integrate Mary Bopp onto our staff. My heart is beginning to stretch around new growth strategies for our congregation. My heart has been stretching in response to having a teenager in the house. There’s been a lot of good tension, a lot of good, slow, measured change, and more is coming. My body still wants nothing to with it, but I know where that comes from, and I trust its resistance will eventually fade. I don’t want a little heart. I want a loosened, supple, open, expansive, generous heart. I want to be a vehicle for deep, abiding love to come into the world. Rev. Davies asked, “What can we do to stretch our hearts enough to lose their littleness?” What can we do to bring more love into the world? What can we do to assure we are loving our neighbors as ourselves? My response is to start small. Start simply by naming the strange and foolish walls in your life or out in the wider world that that you feel must come down. Name them not just to yourself, but to others. Naming them out loud is the beginning of commitment. Name them, and then ask yourself what you need to dismantle them. Find others who’ve stretched in the way you aspire to stretch, and ask them how they did it. What preparation do you need? What training? What support? Where can you practice before you take your action? Who will work with you? Is your body on board? And here’s what we also need to remember: as much as we prepare ourselves, as much as we stretch, as much as we love, there will be moments when it falls apart. Events, often beyond our control, will crash through our lives. We’ll lose our grip on the boulder. We’ll tumble down. We’ll find ourselves at the base of the mountain looking up, tired, sad, angry, demoralized, wondering how to get back up again. 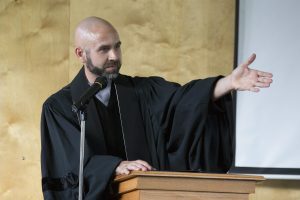 I’m thinking, of course, about Pawel Jura’s death by suicide in late winter, which deeply impacted this congregation, brought so much of our congregational life to standstill. I’m thinking now also about the death of Carol Shapiro, whose bodily remains were finally identified last week, after eight years. Receiving this news brought me back to the time she disappeared. It was similar to Pawel’s death in the sense that everything came to a halt—boulders tumbling down the mountain. Our hearts stretch differently in moments like this. No preparation, no training, no practice, no warm-up. They stretch too quickly. They stretch beyond their capacity. They stretch to the breaking point. They break. When Pawel died I found a reading from the late Rev. Elizabeth Tarbox about what happens to love in the wake of loss. She wrote, “Oh, my dear, do not despair that love has come and gone. Although we are broken, the love that spilled out of us has joined the love that circles the world and makes it blessed.” Looking back on that time now, looking back at all those broken hearts—including mine: so much love spilled out. Deep, abiding love. Whatever strange and foolish walls might have existed among us, they melted away in the presence of that love. They melted away as you held each other, ministered to each other, carried each other, cried with each other, sang with each other. In the end, it shouldn’t take a tragedy to get there. It shouldn’t take a tragedy for love—deep, abiding love—to come pouring out, every day, all the time. It shouldn’t take a tragedy to wake us up to the littleness of our hearts. Yes, we are up against so much. The strange and foolish walls are multitudinous and well-fortified. In Sisyphusian style we lose our boulders down the mountain. And maybe this is an enduring part of the human condition. But it can’t be an excuse for giving up. It can’t be an excuse for not stretching our hearts. Stretching is part of their design. I’ve learned that this year. So, my counsel is for all of us to name our strange and foolish walls, and start stretching—warm-up, practice, get training, talk to those who’ve done it before. And then do what we need to do to make that deep, abiding love real in the world, to let it circle the world, to let it bless the world. We have it in us. Stretch, and keep stretching. No wall can stand forever. Davies, A. Powell, “Strange and Foolish Walls,” Singing the Living Tradition (Boston: Beacon Press and the UUA, 1993) #662. Tarbox, Elizabeth, “Legacy,” Evening Tide (Boston: Skinner House, 1998) p, 56. This morning, I’d like to share with you some of my reflections on growing up in this church and what I have learned from that experience about spirituality and faith – and the blessing that we have to offer the world as Unitarian Universalists in this society. I grew up in Massachusetts and Connecticut. I was used to the seasons coming and going: the hot and humid summers, the crisp and refreshing autumns, the cold winters, the moist and lush springs – the air so filled with pollen that (some years) I was lucky if I could catch a breath between sneezes. When I was younger, most of my family lived around here, in this part of the US – on both sides, everyone from grandparents to cousins to parents to aunts and uncles – everyone except for one uncle’s family – lived in Massachusetts and Connecticut. Then, they gradually started moving away. North Carolina. California. Oregon. New Mexico. The downside of their relocation was that they were now further away. But the upside was that now I had a reason to go on the adventure of going to visit them. Summer vacation was no longer just time off for school – it was now time that I got to spend long, languorous weeks visiting family in far-off places. My adventures to go see my grandparents in New Mexico were particularly exciting for a few reasons: 1) They had cable TV. If you haven’t experienced it, I’m not sure how I can convey to you the majesty of a child who is not accustomed to cable television – in the age before the Internet – getting to just sit and watch it hour after hour after hour for three weeks on end. All the music videos and movies one could ever want. 2) The delicious, sugary food. From sweetened yogurt to sugary breakfast cereals, there was this incredible smorgasbord of things that were not on hand at home with my Mom. Mmm – it was so good! 3) They had a pool in the backyard. Coming from a home that did not have that luxury, it was remarkable to get to just walk out the back door and jump in a pool. Incredible. 4) It was hot. This was New Mexico in the summertime. Southern New Mexico: Las Cruces, just north of El Paso, Texas. The temperature would regularly get up over a hundred degrees fahrenheit while I was there. I grew familiar with that moment when the door of the air-conditioned car is opened and the dry heat surges in and the rush is on to get into the nearest air-conditioned space as soon as possible, be it a movie theater or a bowling alley or a print shop. One side effect of that dry heat was that the water in the pool would slowly evaporate over the course of the day. Sometimes the garden hose would be left running – one end in the pool – in order to keep the water level up near the top. This intense, dry heat thing was such a radical change from my experience of the southern New England climate. Around here, I grew up thinking of air conditioning as something of a luxury. But when I visited my grandparents, I couldn’t even conceive of being able to go without it. It was like humanity had carved out these air-conditioned safe havens in which to huddle during the blazingly hot Summer months. And this fit with the scenery, too: In Las Cruces, if one stood on the right hill, one could see the wall that demarcated the border between the edge of the city and the sheer desert. Unlike the carefully sculpted and settled New England landscape to which I was accustomed, there was the distinct sense of Las Cruces being sort of carved out of the local landscape – that the place would not be fit for human habitation without considerable work installing things like air conditioning. Deserts are forbidding places for humans to exist. Certainly, many people throughout history have done so – including the Manso people who lived in the Las Cruces area when Europeans arrived. The Manso were nomads who roamed the area, generally staying close to the Rio Grande river. Because, of course, people need water in order to live. Certainly, the rivers around here were quite important to the so-called “Podunk Indians”. And, in the desert, the location of all-too-rare water was highly determinative of where and how people live their lives. For me, as a teenager in Connecticut, UUS:East was like my social Rio Grande. I would wander the other six days of the week as through a social desert and then – finally – Sunday would come and I could go to church and youth group. To be honest, I was actually not a big fan of coming to church for much of my childhood. Because Monday through Friday involved getting out of bed early for school and Saturday involved getting out of bed early to go do the laundry at the laundromat, I was very resistant to also having to get out of bed early on Sunday to go to church. But my Mom made me – because she thought it was important that we have community. So I came anyway, despite my resistance. But, as I started entering my teenage years, my resistance to attending church gave why to yearning to attend church. Developmentally, my social life was becoming more important. And the social world on offer in the public schools felt deserted to me. Lacking warmth. Lacking care. Plenty of competitiveness. Plenty of insults. Plenty of ridicule. When I came to church, though, that got flipped: here, there was a blessed lack of competitiveness, insults, and ridicule. Here, there was plenty of warmth, plenty of care. And getting to go to district youth conferences – held in churches all over the district – and be in community with 30 or 40 other youth – people with whom I felt such affinity – was so, so invaluable to be me as a teenager. The lush social environment of UUS:E and the wider UU world were a radical change from the intense social desert that I experienced in high school. this fellowship of those who meet together. I don’t know how many of you have experienced an anointing, but in my experience usually there’s just a small amount of oil applied to the forehead – just enough to coat a small patch of skin. And that’s in our comparatively privileged society. Imagine being in the desert of ancient Jerusalem and having the oil just poured on your head – so much that it flows down the beard and down to the very collar of the robe! And the dew! Once again, in the desert, where fresh water is such a rare and valuable thing. Remember, all three Abrahamic faiths – Judaism, Christianity, and Islam – are all desert religions – they all grew up out of the desert – that place where life can feel so tenuous. Any form of water has incredible importance. Of course dew would have a mysterious sacredness to it – it magically appears at certain times of day – seemingly coming from nowhere – and just coats everything. But, moreover, Psalm 133 is one of a cycle of “Songs Of Ascent” in the Psalms – songs that were likely sung by worshipers on pilgrimage to Jerusalem for one of the three Hebrew religious festivals that required their attendance at the Temple in Jerusalem. Some of those pilgrims would not have to travel far, but others would have to travel quite a long distance to Jerusalem those three times each year. And, as they drew nearer to Jerusalem, they would likely have seen more and more familiar faces – the faces of people only seen three times a year. And so there would be the joy of recognition and reuniting with them. But there was also the joy of coming together as a larger body. 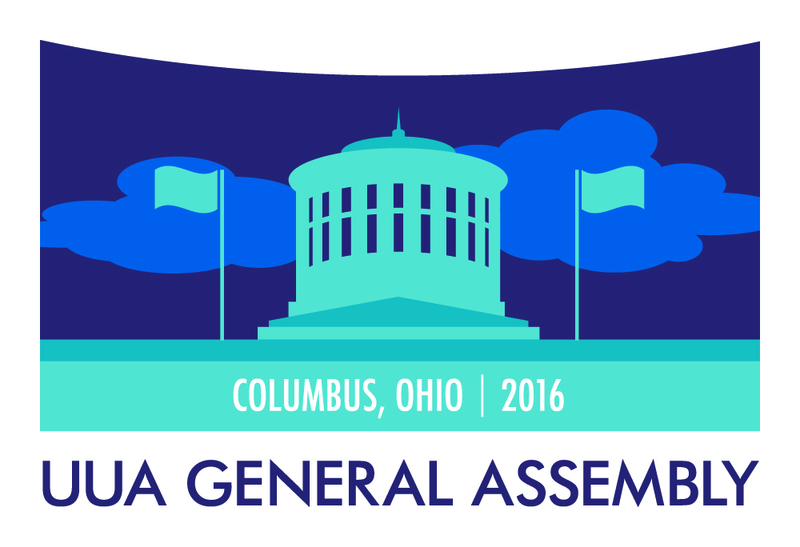 How many of you have ever been to the Unitarian Universalist Association’s General Assembly? It was in Providence, RI last year and it will be in Portland, OR next month. One of the most beautiful things about GA is getting to gather and worship with thousands of other UUs – to get to feel in one’s body the power of thousands listening together, rising together, singing together, clapping together. I remember the first time that I went to GA, what a revelatory experience that was for me. I was moved to tears. I felt my heart burst open so wide. When I read Psalm 133, I think of those beautiful experiences at GA. And I think of all those incredibly valuable district youth conferences that I attended. And I think of all those joyous memories that I have of growing up at UUS:E, getting to experience that overflowing anointing each and every week. It was truly a life-saving experience – for which I am eternally grateful. And, yet, by the time I was 19, I had drifted away from UUism. It wasn’t until over eight years later that I realized that I was missing something. I was in my senior year of college and was assigned a series of four papers: one on my intellectual self, one on my physical self, one on my emotional self, and one on my spiritual self. When I got to that last one – on my spiritual self – I initially felt at a loss. What did I have to write about spirituality? And so I sat and struggled with that paper for awhile. 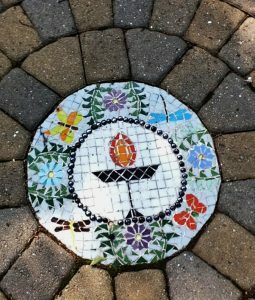 And eventually I realized that, yes, in fact: Unitarian Universalism is a religion – and maybe I might be able to draw on my experiences growing up in this religion to talk about spirituality. 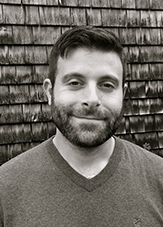 And once that one realization landed, a series of others followed quick on its heals – and, by the time I finished writing that paper, I realized that I had been conflating the social and spiritual aspects of my experience at UUS:E.
Yes, I found far greater fellowship here than I did in my high school. Yes, I appreciated all the beautiful conversations that I got to have with so many beautiful people. But that was really just the upper layer of it. Underneath all of that was the spiritual sense of what it’s like to relate to people as if they had inherent worth and dignity. The spiritual sense of what it’s like to just be with one another in a way that embodies justice, equity, and compassion. The spiritual sense of accepting one another and encouraging one another to spiritual growth. The spiritual sense of seeking peace, liberty, and justice for all. The spiritual sense of respecting the whole web of life. Those are all things that I could value or in which I could believe – but in embodying them with others, I aligned myself – I drilled into – my deeper connection with all that is truly valuable and beautiful in this world. So, when I drifted away from UUism after high school, I met lots of great people and had some great adventures. But what I missed out on for stepping away from UUism – and what I didn’t realize that I’d lost until a teacher called my attention to it – was the spiritual sense of the deeper significance of how I am with others, and how they are with me. I didn’t realize it until wrestling with that paper on my spiritual self, but, in the absence of UU community, my spiritual “throat” was very parched. And that recognition led me back to Unitarian Universalism and, eventually, into the ministry. Looking back and recognizing how spiritually rich my time in this congregation and in this district was, I realized for the first time the extent of the riches that I had been given growing up UU. And for that, I am eternally grateful. And, yet, I also want to offer a challenge. Because, for one thing, I’m sad that it took so long for me to put those pieces together. And, for another thing, I don’t think that it’s sufficient for this to just be the oasis in the desert. If there’s one thing of which we should be aware in this day and age, it is that we humans have the capacity to change the climate. Science and economics have taught us that, through our ingenuity and our resourcefulness, we can make an impact – for good or for ill. When I think back to my childhood at UUS:E, one of the first things that I think of is walking around at coffee hour – in this very room (although an earlier version of it), waiting for my mom to be able to take me home, talking with various people. And, more specifically, I think about talking with an elder – Pat Fox – about our mutual affection for macaroni and cheese. In one sense: such a small, simple thing. In another sense: all the world. How often in our incredibly age-segregated, socially-desertified society do we have those sorts of sweet interactions with one another? Do we get to be not just consumers or producers or employees or supervisors or coworkers or viewers or creators or students or teachers or an audience or a performer – but just people. Just people, experiencing life side by side with one another. Those experiences of the raw, simple stuff of life – side by side with one another – that is the vein at the center of this river of fellowship. That is the nourishing water that we can tap into here. And that is the water that we can also bring out into the world with us. In every moment. When we are with people or with ourselves, we can bring that water that we carry in our souls. We can bring the openness that lets other people drink from it – and that inspires them to open, as well. And then to talk about it with each other. I know that, for me, it can be very challenging to be open like that in spaces in which I don’t already feel safe and secure. I have to always remind myself to do it anyway. That my faith – my many experiences is this space and in this faith movement – has shown me again and again how much is possible when we open our souls to one another, in even the most mundane ways, like sharing a mutual love of macaroni and cheese. Because it can feel like a desert out there. And we are the people of faith who declare that it doesn’t have to – and who know the spiritual riches that abound when share our water with others. Reflecting on his service in Afghanistan, U.S. Army chaplain and Unitarian Universalist minister, the Rev. George Tyger, writes, “I know love / For it is love that has kept me alive / Not bombs / Not bullets / Not body armor / These only kept me from dying / Love keeps me living.” That is essentially the message of this sermon. If our Unitarian Universalist faith is to serve us well in the wilderness—and I’ll say more about how I’m using the word wilderness this morning—then love must live at its center. I’ve heard it said, and perhaps you have too, that Unitarian Universalism is not a real religion, that our faith works fine when life is good, but offers no reliable assurances in the face of tragedy, injustice, evil, death; that our faith works fine for those who come for worship on Sunday morning, but does not travel well beyond the walls of our buildings. I’ve not yet finished reading George Tyger’s War Zone Faith, but if his ministry in 2011 and 2012 to the 1500 soldiers of the 1st Squadron, 10th US Calvary Regiment stationed in and around Kandahar City, Afghanistan—the “spiritual home of the Taliban”—is any indication, then I feel confident Unitarian Universalism’s liberal faith—its appeal to reason, its tolerance for ambiguity and difference, its call for social justice, its assertion of human dignity and its emphasis on love—holds up under some of the most dangerous conditions on the planet. If Rev. Tyger’s testimony is any indication, this liberal faith travels remarkably well. 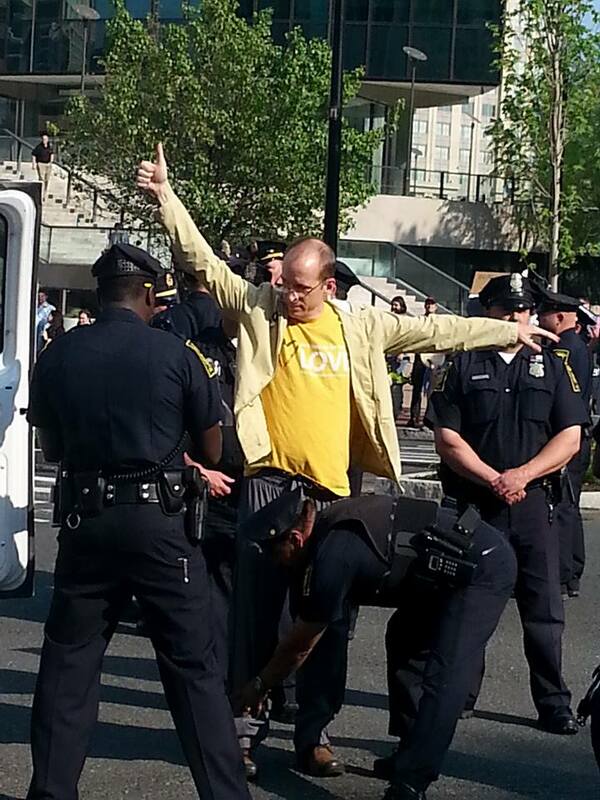 Though let me be clear: I am not suggesting that any Unitarian Universalist minister, including me, could do what Rev. Tyger does, or that all one has to do is show up in a war zone and start talking about the love at the heart of his or her Unitarian Universalist faith. That’s not what Rev. Tyger does. He has a gift for battlefield ministry. And while he is clear in his writing that he doesn’t want us to romanticize his ministry or present overstated caricatures of his service, in my view his ability to provide chaplaincy to soldiers in combat is extraordinary. His Unitarian Universalism holds up well in a war zone because of who he is, because of his rare courage, and because of his unique ability to communicate his loving faith—to make it relevant in the midst of bullets, bombs, body armor and body bags. When I say our UU faith travels well beyond the walls of our buildings, I also acknowledge that no faith travels all by itself. People carry their faith with them, and specific people carry their faith into specific situations. Our faith has the greatest impact in the world when our gifts and talents are well-suited to the demands of the situation we find ourselves in—whether we feel called to be there or whether we arrive there by accident. Rev. Tyger has a gift for battlefield ministry. For me, this begs the questions, “What is your gift?” and “Where and how does your love for people and the world express itself most clearly?” I invite you to take these questions into this summer season. It’s important that we know the answer to these questions because, in the end, the measure of the “realness” of any religion has little to do with what that religion says or writes about itself—or how catchy its promotional videos are. It has everything to do with how that religion inspires its people to live their faith by using their gifts to bring more love into the world. I want to share some thoughts on living our faith not only beyond the walls of our congregation, but in any situation we might call a wilderness situation. As a reminder, our ministry theme for June is wilderness. A few weeks ago I preached about the connection between the wilderness around us and the wilderness within us. I suggested that traditional religion often identifies wilderness as a place of trial, challenge and temptation—a place where something bad happens, where some wicked thing lurks—and if we can overcome it, meet the challenge, resist the temptation, then we can return to the safety of civilization having matured in our faith, having deepened our humanity. While I do think this is one important narrative for understanding the role wilderness plays in our spiritual lives, I also made the case for a second narrative. Wilderness is not only the place where we face challenges and trials. It is also the place where we encounter the things we hold most sacred; where the Holy actually lives and speaks out beyond the bounds of all established jurisdictions; where we find solace and peace; and where we gain strength to resist the various evils civilization has created and perpetuated among human beings. This morning I want to explore how we engage the wilderness around us. I’m combining elements of both spiritual wilderness narratives. I’m not talking about the forests, the jungles, the deserts or the mountains—though I do believe the Holy lives and speaks there. Rather, I’m talking about difficult, challenging situations, painful situations that demand a faithful response from us—whether they occur in the actual wilderness of the natural world, or in the heart of civilization; whether they occur within the walls of our meeting house, or beyond them. I’m talking about the wilderness of the devastating diagnosis, the death of a loved-one, or the loss of a job. The Holy lives and speaks there too. It must. I’m talking about the wilderness of mental illness, of addiction, of loneliness. I’m talking about the wilderness of estrangement in families, the breakdown of relationships, watching a loved-one engage again and again in self destructive behavior. The Holy lives and speaks there too. It must. I’m also talking about the wilderness of war zones, the wilderness of bullets, bombs and body bags, because the Holy must live and speak there too. I’m talking about the wilderness of more than one in five American children living in poverty, because the Holy must live and speak there too. I’m talking about failing schools, gun violence, mass incarceration and the erosion of civil rights for people of color because, in addition to its positive rulings on DOMA and Prop 8 this week, the Supreme Court also eviscerated the Voting Rights Act, opening the doors to a myriad of efforts to restrict access to voting and, in my view, thereby stunting and even reversing the progress of American democracy. The Holy cries out in that wilderness too, demanding a faithful response. I’m also talking about the wilderness of marriage rights for gay and lesbian couples, because yes, the Supreme Court struck down DOMA—an enormous victory for people standing on the side of love and justice. But there are still 38 state DOMAs on the books; and while some of those, I expect, will disappear quickly, most of them will not go down without a fight. Winning that fight will require people of faith to continue bearing witness to the injustice of marriage inequality and to express the tenets of their religion in the public square with courage and conviction. The Holy must live and speak in that struggle too. Oftentimes the wilderness—whatever form it takes in our lives—feels overwhelming. The word “bewildering” makes sense. It is hard to comprehend at first. There’s an opaqueness to it. It is often unbelievable. Receiving a cancer diagnosis, unless you have some strong prior indication, is unbelievable. The tragic death of a loved-one is unbelievable. The statistics on the number of Black and Hispanic men wrapped up in the criminal justice system are unbelievable. The statistics on the educational achievement gap are unbelievable. Child poverty, unbelievable. Lack of access to quality, affordable health care, still unbelievable. So many lives are at stake. Always at first the wilderness seems overwhelming, unapproachable, insurmountable, dangerous, deadly, bewildering. Consider this generalization about Unitarian Universalists. Unitarian Universalists often respond to wilderness situations not from the heart but from the head. If this statement rings true to you, please understand it is far less true than it sounds, but it is true enough—and out there in the larger culture enough—that some people allege ours is not a real religion. It’s not the only reason people make this allegation, but it’s one of them. Often our first response to wilderness situations is to seek information and data. These days we Google it. Don’t hear me wrong, I feel strongly that in order to respond faithfully to the wilderness around us, we do need to acquire information about what is going on. We need the facts. Information makes the wilderness less opaque, less bewildering, less unapproachable (though not necessarily less dangerous). Speaking specifically about the wilderness of injustice and oppression, it is essential that we analyze it; that we figure out how it works, why it is so pervasive in so many aspects of our society, and why it is so difficult to dismantle. In conducting such analyses, we ask questions like “Where is the money coming from?” Or “What is the money paying for?” We ask questions like, “Who benefits from this injustice?” or “Who has the power in this institution?” We ask historical questions like, “Why did this injustice come into being in the first place?” In the language of community organizing, we call this a power analysis. For years, working on antiracism organizing within the Unitarian Universalist Association and in different cities and towns in Connecticut I’ve heard myself say over and over again—because I was trained to say it—“We need a common power analysis of racism before we can work to dismantle it.” And those words are true. But in reflecting on this aspect of my ministry over the last fifteen years, I recognize that sometimes I’ve become too mired in analysis. I’ve stayed too much in my head. And my faithful response has been less than effective. There’s some truth to the generalization. Having the facts is essential. Knowing what’s really going on is essential. Doing the power analysis is essential. But the Holy that lives and speaks in the wilderness—in the depths of pain, suffering, loneliness, depression; in the war zone, the grieving spouse, the broken family the impoverished neighborhood, the failing school, the over-crowded emergency room, the addict’s needle, the prison cell—the Holy that lives and speaks there, no matter how we understand it, no matter what name we ascribe to it, cries out for a courageous, loving response. The heart of a faith adequate for the wilderness is love. In the end, the measure of the “realness” of a religion has little to do with what that religion says about itself. It has everything to do with how that religion inspires its people to live their faith by using their gifts to bring more love into the world. What are your gifts? Where and how does your love for people and the world express itself most clearly? Tomorrow I have the honor of saying a few words at a press conference Senator Blumenthal is holding in response to the Supreme Court’s rulings on DOMA and Prop 8. (I received this invitation because I served for many years as chairperson of CT Clergy for Marriage Equality and, later, CT Clergy for Full Equality.) There are many ways to talk about these rulings that involve facts. If you read Justice Kennedy’s majority opinion—which I highly recommend—you’ll find it very factual, very analytical. I expect nothing less from a Supreme Court Justice’s opinion. He clearly understands the nature and the full extent of the injustice DOMA visited upon gay and lesbian couples and their children. Reading his opinion I learned facts I hadn’t known before, like the fact that under DOMA the partner of a gay or lesbian veteran could not be buried next to their beloved in a veterans cemetery. But I don’t want to address facts tomorrow. I want to speak of love, because I am a person of faith, and a Unitarian Universalist, and love has been at the center of our faithful response to this particular wilderness for a generation. In fact, I want to remind the media that it has largely mischaracterized the sides in the American debate over marriage equality. 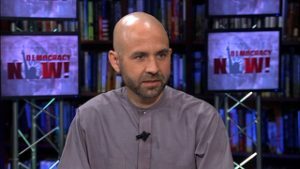 It has largely reported the debate as one between secular, non-religious people in favor of marriage equality, and religious people against it. But that has never been the case. 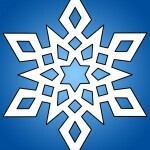 Unitarian Univeralists, the United Church of Christ, Episcopalians, American Baptists, Methodists, Quakers, Presbyterians, the Metropolitan Community Church, Reform Jews, Conservative Jews, even some Pentecostals—and the list goes on—have been coming again and again into the wilderness of homophobic laws, of painful silences and closets, of fear and hatred towards gay, lesbian, bisexual, transgender and queer people, of bullying, bashing and suicides—people of faith have been coming into this wilderness and proclaiming a message of love, singing “we are standing on the side of love,” singing “Love will guide us,” praying prayers of love, praying, in the words of Rev. Tyger when he gave the invocation at last Tuesday’s LGBT pride celebration at the Pentagon that “love refuses to be constrained by culture, by creed or by fear,”—coming into this wilderness and bearing witness to a Holy power in the world so vast that no one is left out, that all may come as they are, that all may love according to the dictates of their own heart. If I may be so bold, we are winning in this wilderness struggle, because love wins. Love wins. We’ve heard it said that the poor will always be among us. Some say there will always be poverty. If nothing else, it’s a Biblical notion. I’ve never been convinced of its truth. But I am convinced there will always be wilderness, and that the encounter with wilderness is part of the human condition, part of the human experience. Therefore, we will always need love—to give it and to receive it—to courageously speak it, proclaim it, sing it, pray it. Love is the essence of a faith adequate for the wilderness. Love wins. I believe it. May we go out from this place and into this summer season ready to give and receive love. Tyger, George, War Zone Faith: An Army Chaplain’s Reflections From Afghanistan (Boston: Skinner House Books, 2013) p. xiv. See data from the National Poverty Center at http://www.npc.umich.edu/poverty/. Also see: http://www.huffingtonpost.com/2012/12/18/child-poverty-2011_n_2323383.html. Read Justice Kennedy’s opinion at http://www.supremecourt.gov/opinions/12pdf/12-307_6j37.pdf. Shelton, Jason, “Standing on the Side of Love,” Singing the Journey (Boston: UUA, 2005) #1014. Rogers, Sally, “Love Will Guide Us,” Singing the Living Tradition (Boston: Beacon Press and the UUS, 1993) #131. The Pentagon’s June 25 LGBT Pride event is at http://www.youtube.com/watch?v=h7vkpOYQiIo&feature=share.